When considering buying packing cubes, it’s only natural to ask yourself if it’s really worth it to pay around $30 for a set of 3 packing cubes, which are basically zippered mesh pouches. Packing cubes are cube shaped pouches that are so simple yet ingenious, you’ll ask yourself, “Why didn’t I invent this?” While packing cubes can be extremely useful for organizing clothes in your luggage, they can also be quite costly and take up extra precious space. 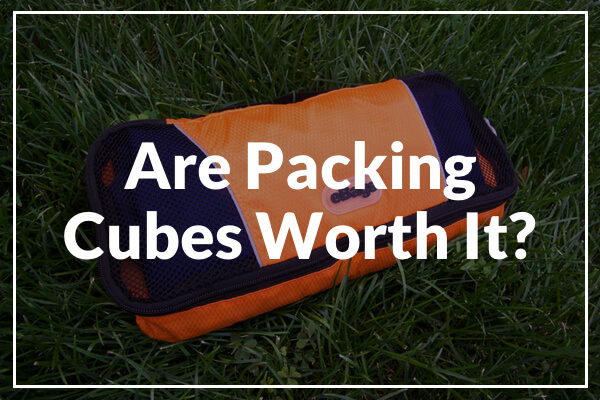 In the midst of all the packing cube hype, I’ve decided to find if packing cubes are really worth it by going over their pros and cons. There’s tons of different types of packing cubes, but in this post, I’m referring to the generic packing cubes, such as the eBags brand packing cubes. 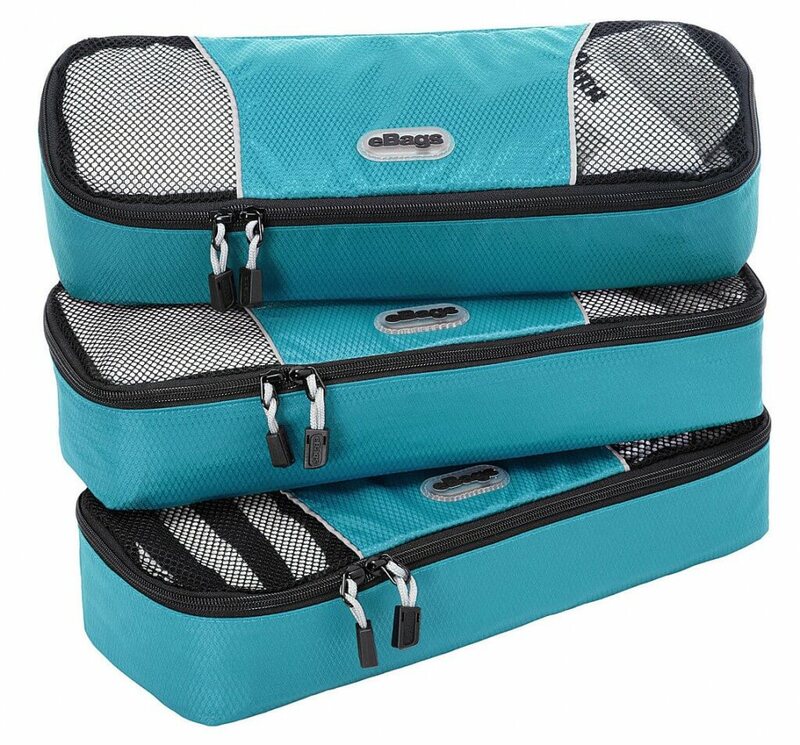 If you’re an organization freak and are fine with blowing a cool $30, then packing cubes are a definite must have for you. If you aren’t fine with spending $30 on a couple of pieces of fabric, then check out my list of the top 5 Packing Cube Alternatives. Packing cubes can help to organize the clothes you are going to wear by day, as in you could put your outfit for one day in one cube and the outfit for the next in different cubes. Also, you could organize your family’s clothes by using a set of different colored packing cube for each person. Another way you could use packing cubes is to put all of your shirts in one cube, pants in the other and undergarments in another. Even when not being used for travel, the packing cubes can be used as a simple lunch box or a bag to take to the gym. The main argument which I hear from travelers who don’t use packing cubes are that packing cubes take up space and weight. Packing cubes usually aren’t thick or heavy, but when trying to travel light (and meet aircraft requirements), every bit counts. In my opinion, the extra weight from the cubes shouldn’t be an issue, since packing cubes such as the Eagle Creek Pack-It Specter are extremely thin and lightweight. Packing cubes are also quite expensive considering their simply zippered pouches. It can be hard to justify the prices of packing cubes if you don’t use them often, since there isn’t much material required to create the cubes, and it’s not like they are extremely complex products either. Honestly, I don’t feel that packing cubes are as revolutionary as many travel experts make them seem, however they can still be extremely useful for organizing clothes, especially in suitcases. If organization is a big priority for you, then packing cubes would be helpful. If the price of packing cubes is the main aspect which is putting you off, you can also try to make your own packing cubes or find alternatives, which I mentioned in this post: 5 Creative Packing Cube Alternatives. So overall are packing cubes really worth it? It’s important to recognize that packing cubes are simply packing aids and more of a ‘want’ rather than a ‘need’. Packing cubes are easier to use and more effective when in a more boxy shaped bag/suitcase. Backpacks, except for the eBags Motherlode, are usually less boxy than suitcases. If you’re traveling with just backpack, it is probably because you’re trying to travel light and be more mobile. This means that you probably wouldn’t want to take the extra weight of packing cubes. Do you use packing cubes? Why or why don’t you use them? Leave your comment below. I use Dot&Dot packing cubes to organize our clothes. I love the durability of the cubes and they are also very lightweight. I can place more clothes inside the cubes since they are somewhat compressed. They also help prevent wrinkles. Nice! I’ve never tried the Dot&Dot packing cubes, but just checked them out. They look quite similar to eBags cubes, but I think most packing cubes look generally the same. I actually find packing cubes a great option for backpacking. They compress your clothes into really small packs that you probably don’t need until later in the trip, making lots of room for other items you might need to reach for during the day. For instance, if you ever have to dig around in your backpack out in public or on a train you can do so without emptying all of your clothes out onto the floor, or your hosts’ living room if you are couch-surfing. I also find them very useful when traveling in Japan, where space is a premium. A lot of Japanese business hotels don’t provide dressers or closets (or even floor space) to allow you to unpack so you are forced to live out of your suitcase. This is where packing cubes become really useful. If I need to change my shirt, I can just pull out my packing cube full of shirts and not have to flip through my entire suitcase messing everything up and then be forced to repack my suitcase just so I can zip it back up. I’ll also use like one cube to pack a change of clothing and toiletries and put it in a backpack or carry-on while leaving my large suitcase in the hotel I’ll be staying at or even the train station Then I’m free to take off for an overnight hiking trip or the like, somewhere where I don’t need my entire 2 weeks worth of stuff. Good point. Haven’t been to Japan, but agree that packing cubes can be really helpful since you don’t have to completely unpack everything. I guess you could say packing cubes are useful for anyone.